A brief history of Parkpre USA. Parkpre started in 1989 after Cozy Yamakoshi, a product and development manager, left Diamond Back to start his own company. 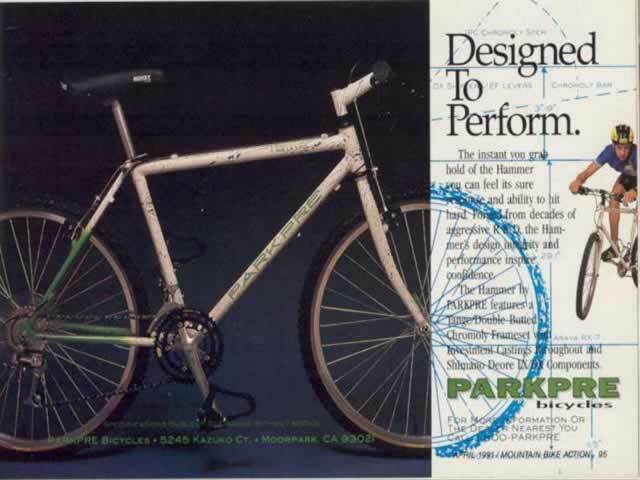 Parkpre USA were based in Moorpark, Southern California, USA., Producing bikes from the early 1990's until sometime in 1998 when they closed. Parkpre is the product of Cozy Yamakoshi. The actual name of the business was Integra Precision Corporation, it would not fit on the down tube, the Parkpre name came from Cozy's friend and mentor, Mr. Park, who was originally from Korea but changed his name upon moving to Japan. The Pre (precission) part of the name caused some consternation when Pre Skis got all hot and bothered over the Parkpre logo. Ever wondered what Parkpre USA's distribution centre looked like here are some pictures. 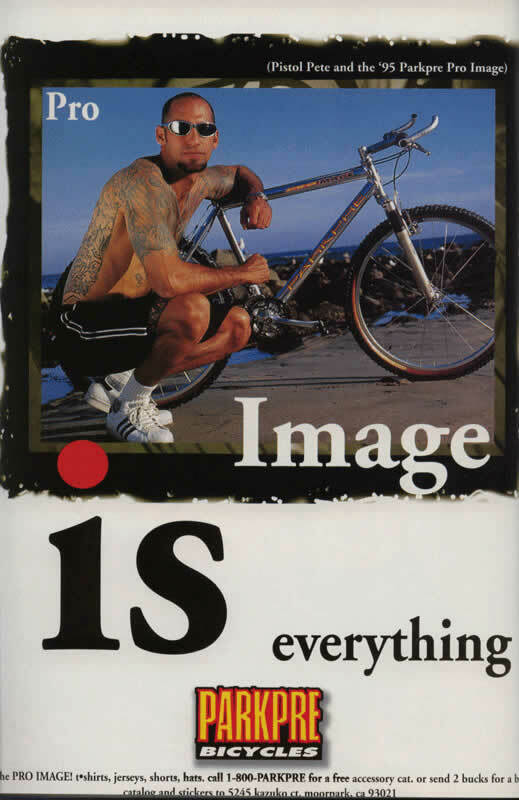 Craig 'Stikman' Glaspell [Leigh Donovan's husband / bike mechanic] raced XC for Parkpre in 1992. Go to his web site and check out the racing picture, very retro. Allen Bean was the team trainer/coach from 11/91 to 01/93. Dr. Terry Wheyman was the team doctor/chiropractor from 1991 onwards. List of riders who have ridden under Parkpre sponsorship throughout the world, I am sure there are many that I have missed. If you can add to this list use the contact form. Parkpre sponsored many top riders including most notably Paola Pezzo, 'Pistol' Pete Loncarevich and Christophe Sauser. Article from Cyclingnews.com about a guy who has made up a cyclo-cross bike from a Parkpre MTB frame. Ken Yamakoshi (Cozy’s son) is in the process of re-launching Parkpre in the US. Firstly introducing road bikes into the US market. The grand plan includes time trial, mountain and time trial frames. Focusing on high-end frame and forks only and not complete bikes. You can visit the website at ParkpreUSA.com. 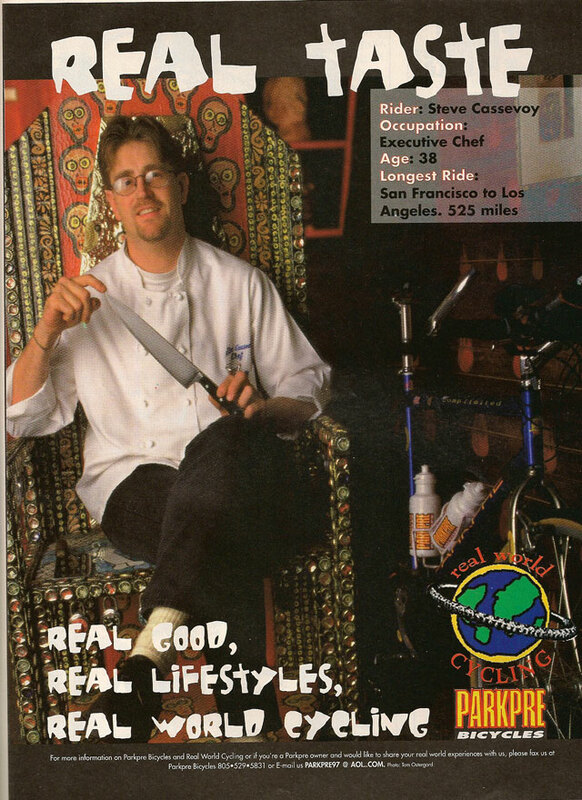 Ken is the team manager for a US based UCI Division professional team for 2009. Parkpre Bicycles [Italy] were an official supplier to the Toyota-F1 team for 2003 season. I need you to fill in the large gaps in this short history. Do you know anything about Parkpre USA in the nineties? Did you, or someone you know, work for the company? Any information will be appreciated. Email me.